The Blot Says...: Star Wars 40th Anniversary Tsum Tsum Plush Set – A Disney Store Exclusive! Star Wars 40th Anniversary Tsum Tsum Plush Set – A Disney Store Exclusive! 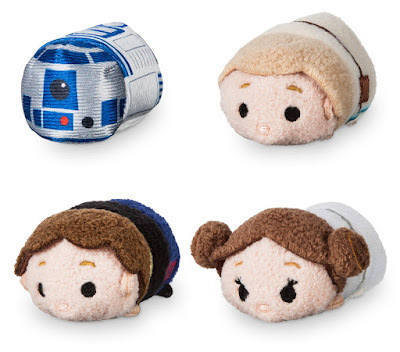 Today, Thursday, May 25th, marks the 40th anniversary of the original release of Star Wars in theaters! Things have definitely never been the same since the world was introduced to a galaxy far, far away on this very day 40 years ago. 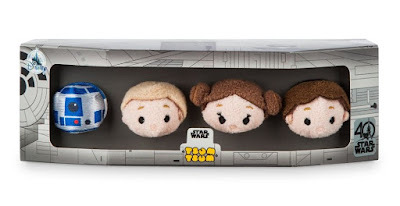 To commemorate this monumental anniversary, the Disney Store is releasing a new collection of Star Wars 40th Anniversary exclusives today, including this awesome Tsum Tsum plush box set. 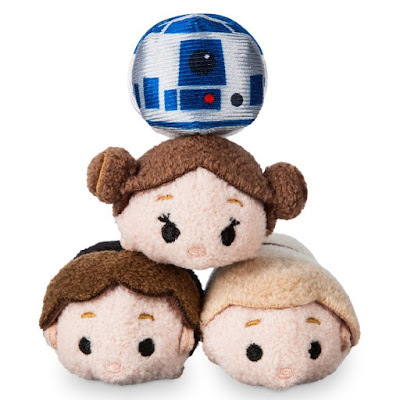 The Disney Store Exclusive Star Wars 40th Anniversary Tsum Tsum Box Set includes 2.5” Tsum Tsum plushes of Luke Skywalker, Princess Leia, Han Solo and R2-D2 all packaged in a special box featuring a Millennium Falcon design. Collectors can purchase this exciting new set now at DisneyStore.com and all Disney Store retail locations for $19.95.